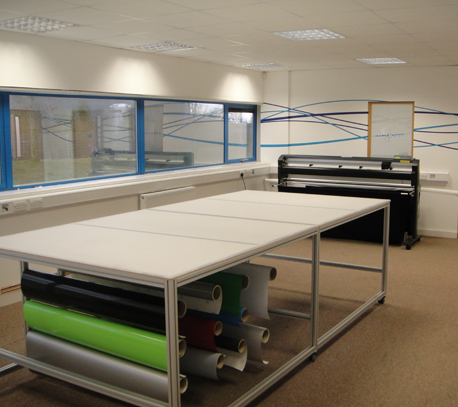 At Applied Graphics we are dedicated to providing you with a professional and personal service. We are committed to producing a product that meets your needs and that is affordable. From conception to completion, Applied Graphics can do it all. We can design, manufacture and install all types of signage. You never get a second chance to make a first impression so we are here to make sure it’s a good one. No matter what the job, the client, or the budget we aim to deliver an effective solution. We have at our disposal a fleet of CNC equipment, powder coating equipment and signage equipment with more to follow soon. Fit, install or deliver your finished product!